Happy Friday, Kansas City! I don’t know about you all, but Kansas City BBQ is a downfall of mine, and I’m convinced, no one does it like Kansas City does. Today, we are lucky enough to have a guest Dad (married to our fantastic Mom Squad Ambassador, Becky) talk about the American Royal BBQ event that happened this past weekend. Get ready to salivate and check it out! I have often declared the American Royal BBQ as one of Kansas City’s best annual events. This year was the first time our three kids would attend, and I was excited for them, and excited for myself. 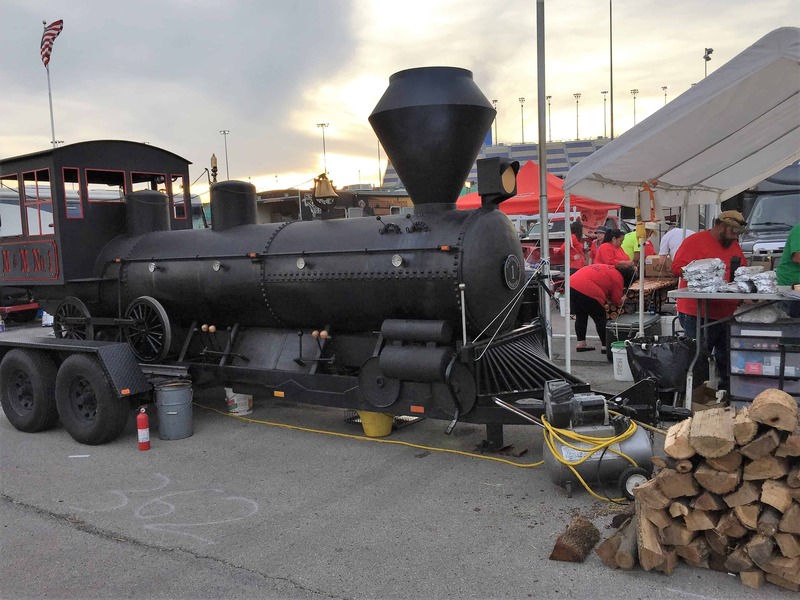 While working to build anticipation for the family’s arrival at the American Royal BBQ, I asked our three kids ‘what is the American Royal BBQ event all about?’ to which one of them readily replied, “Celebrating bar-b-que. And, celebrating the Royals.” Close enough; thanks, Captain. And with this answer in the air, we exited the car and began a long walk to the infield of the Kansas Speedway, where thousands of people were converging on hundreds of BBQ serving tents. The American Royal is a series of horse shows, livestock events, and rodeos that extend for eight weeks, with the international BBQ being one of the final festivities. 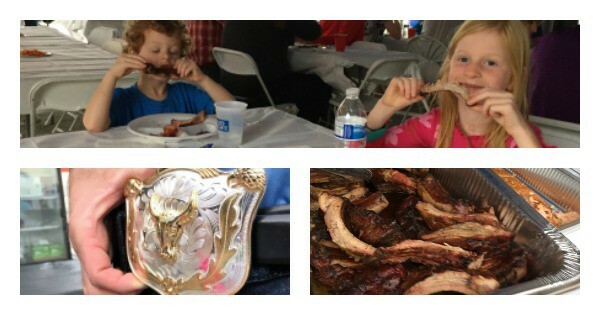 This past weekend was the 37th annual BBQ event, featuring live music, a petting zoo (and other kid-oriented activities), parties and numerous grilling, smoking, and saucing competitions—the most coveted award being the Grand Champion. My involvement, as usual, was limited to the Friday-night International BBQ. 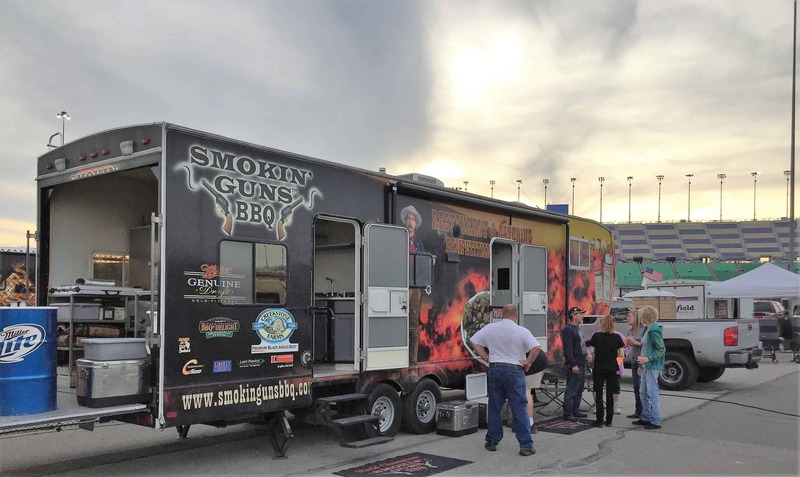 I have great memories of the American Royal BBQ. Specifically, the Friday night event. 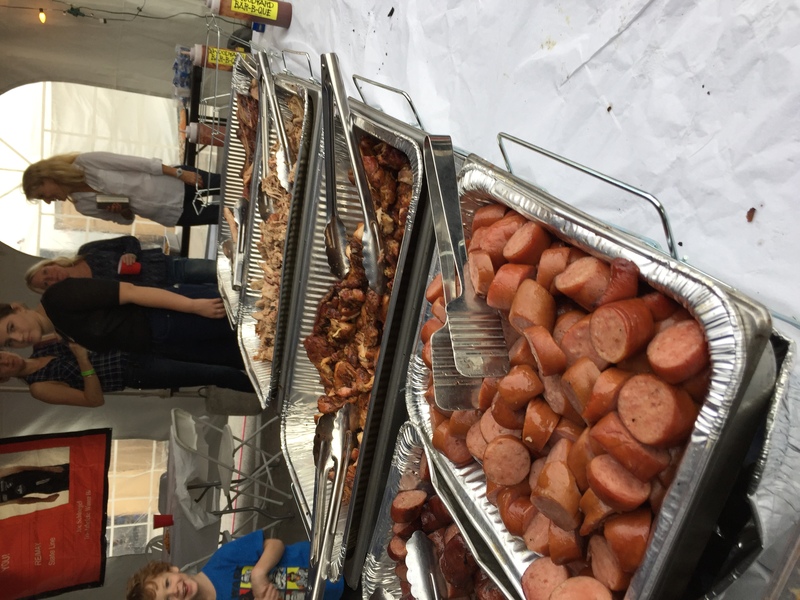 Until you’ve attended, it is hard to fathom a BBQ pop-up village featuring blocks upon blocks of BBQ parties. It reminds me of the feeling of being surrounded by high rises in NYC, and after walking for blocks (miles?) in one direction, you look up only to find oneself still surrounded by high rises and skyscrapers. Only this is Kansas City. Instead of a contiguous sea of tall buildings, it’s an endless world of smokers, parties, RVs, circus tents, pop-up bars, and more smokers. You can stroll through the rows of BBQ tents, and thirty minutes later still find yourself passing areas you have yet to see. It’s a carnivore’s paradise. The massive party atmosphere is quite inviting. The food tastes great, the drink feels good, and the music keeps the adrenaline strong. Everyone seems driven by the same objective, which is to indulge in a good time. Early in the evening, the mood is a bit subdued and protective as each tent is host to a private group of friends, family, coworkers or clients. But as the night progresses, the gatherings become less private, the tent gates open, and party goers pour into the walkways and common areas. A good vibe takes over as inhibitions subside. It becomes a giant block party, or perhaps better stated, a giant party that extends for blocks. Quite entertaining. With kids in tow, my night ended earlier than I would have preferred, so if there was an impromtu marching band of revel rousers blowing their horns and beating real and make-shift instruments, as I’ve seen in the past, then I would have missed one of the great highlights. But, this gives me something to look forward to in the future. So here’s to good food, good drink and an all-around good time. Go Royals!…right Captain?